Webminibus Minilease is a reliable minibus lease hire company that is the perfect option for those who are looking for flexibility when buying minibus lease hire solutions. Webminibus Minilease is a company that offers simplified and convenient leasing services. The company’s leased minibuses have a minimal rental period of only eighty-four days. These mini-lease options are not only cheaper than a daily rental but are offered without needing to a long term commitment also without needing to pay a deposit. 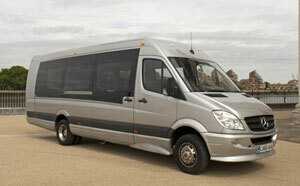 This minibus lease hire company also offers its lease services without asking for your credit card details. In addition, you will also enjoy guaranteed delivery and the company also provides services such as free roadside assistance and replacement vehicles. Webminibus Minilease also offers benefits such as the best cash-flow friendly payments and new or almost new vehicles. To contact this minibus lease hire company you can visit their office at Webminibus, 2 Cosgrove Road, Old Stratford Milton Keynes MK 19 6AF. You can also reach the company on the phone by dialling 01908 262662 and you can also send the company an email to obtain further information. Ford Transit Tourneo 2.2 TDCi short wheel base LR 9 seat minibus. Other popular minibuses that you can obtain on lease from Webminibus Minilease include the Mercedes Vito Tliner 2.1 CDi BlueEfficiency 8 seat, Nissan Primastar 2.5DCi SE long wheel base nine seat minibus and the Ford Transit 2.2DCi short wheel base diesel that is large enough to accommodate eight passengers. To obtain the best minibuses on lease, it pays to deal with a minibus lease hire company called Castle Minibus. This is a company that specialises in providing minibus lease solutions for schools and colleges throughout the United Kingdom. Castle Minibus also provides fully managed services throughout the lease period and can supply free logos and livery and will also deliver your minibus to you within two weeks. To contact this minibus lease hire company you can make use of the company’s online enquiry form or you can visit the company’s office at Commerce house, Telford Road, Bicester Oxfordshire OX26 4LD and you can also call 01869 253744.